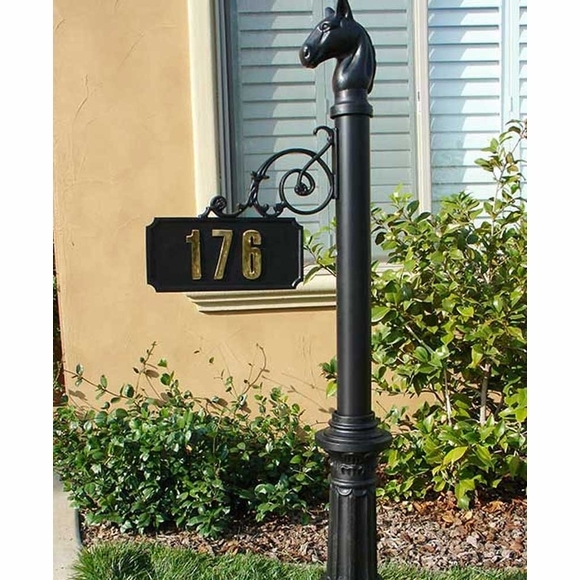 Personalized Hanging Address Sign with Decorative Post - - with scroll address plate, decorative finial, and decorative base. One side hanging address sign holds four 4" gold vinyl or reflective white numbers. Pick a decorative finial for the top: horsehead, pineapple, or ball. 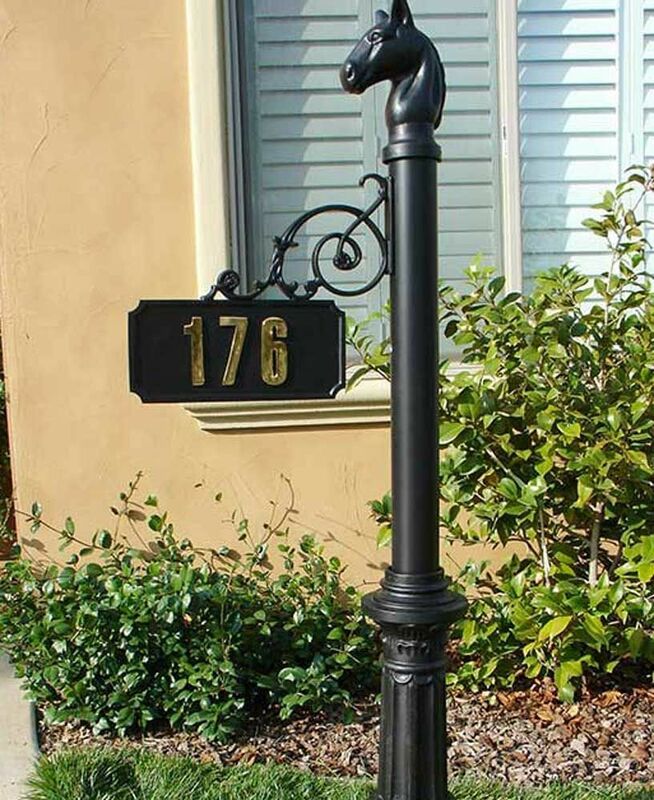 Address sign: 13"W x 6"H.
Scroll arm: 16" x 14". Made of durable, rust-free aluminum with weather resistant powder coat finish. Base sits flush on ground; post requires in-ground burial. Post color and sign color: black. House number color: gold vinyl or white reflective. Installation: Prepare a hole approximately 16" deep. Install completely assembled post into hole. Mix quick set style concrete and pack it around the post in the hole. Place a spirit level on the round pole and level the post front to back and side to side. Some temporary supports my be needed until the concrete dries.